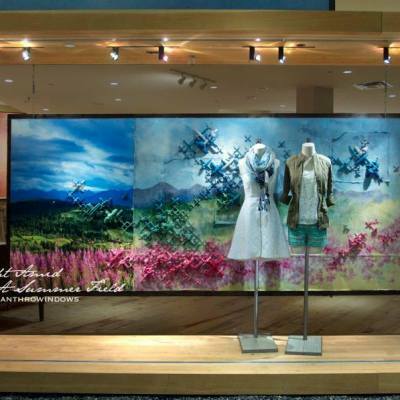 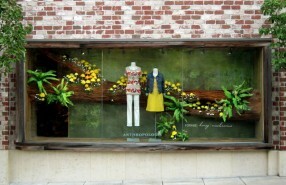 Anthropologie sells women’s clothing, shoes, accessories, home furnishings and gifts. 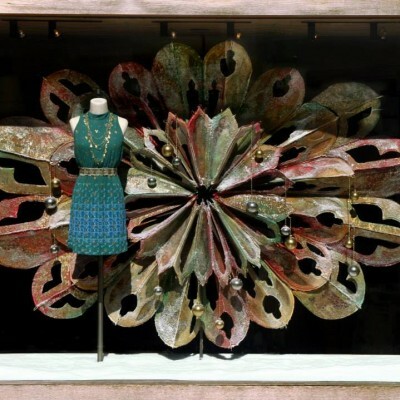 Anthropologie is geared toward women looking for unique, one-of-a-kind designs. 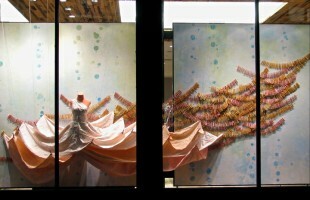 Also, its marketing technique is more about selling a lifestyle rather than products. 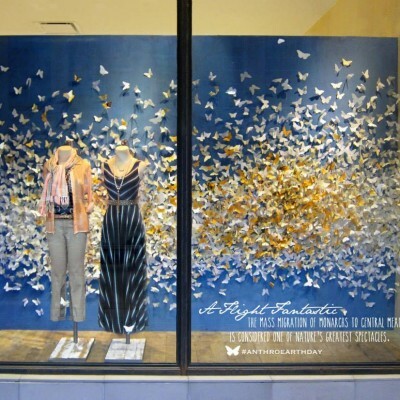 Anthropologie opened its first store in 1992 in Wayne, Pennsylvania. 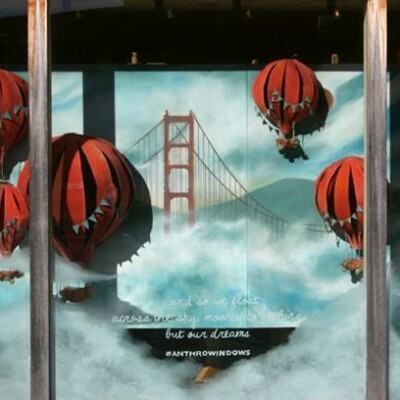 The visual team of Anthropologie created ‘Hot Air Balloons’ Spring window displays, taking passers-by on the adventure in the sky, ‘way, way, way up high’. 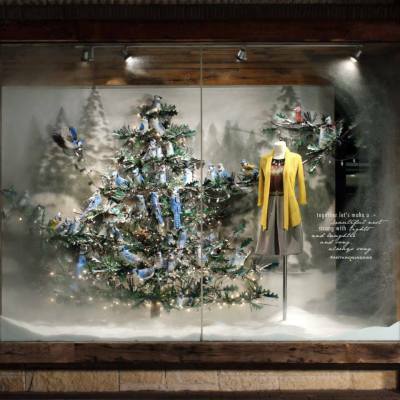 Anthropologie call their Holiday window displays of 2013 there most festive yet, with heartwarmingly traditional as inspiration. 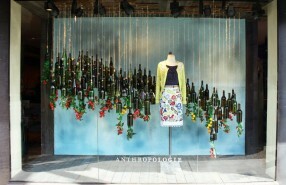 Anthropologie brings Greece to the Summer window displays. 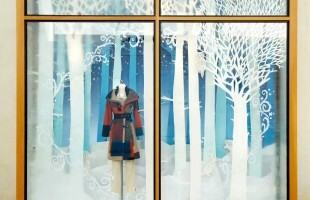 Anthropologie winter holiday window display is all about snow white forests. 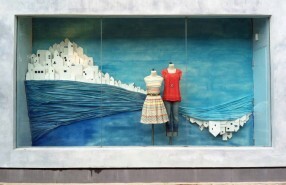 Inspired by household items the window dressers of Anthropologie stitched, draped, cut and dyed every inch of these abstract fashion panoramas. 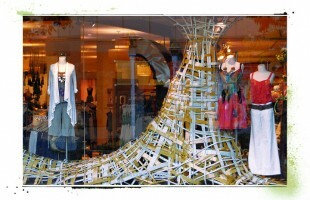 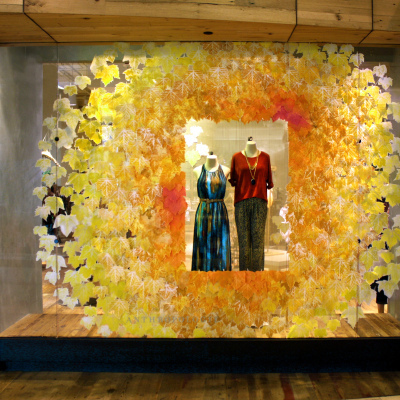 With the natural colored basket weaving window display the bright colored Anthropologie collection really pops up.